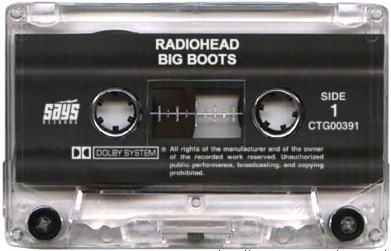 It has been announced that Radiohead will be releasing the old fan favorite “Big Boots” aka “Man-O-War” in April. The catch is that the track will only be available in record shops around the world, not digitally as we’ve all become use to. 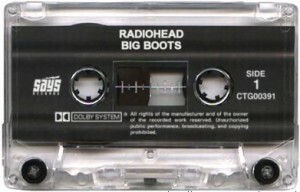 To make things even more interesting, the song will only be released on audio cassette, with a limited edition cover designed by Stanley Donwood. The band and their management have been quiet on the reasoning behind this, only to hint that this is in someway part of a bigger plan. Nigel Godrich recently let it slip on Twitter that the song sounds “very different” from the live version, saying that only one word can describe Thom’s voice in it: “Buzzsaw”. [UPDATE]: If you haven’t figured out by now, this is an April Fool’s joke.